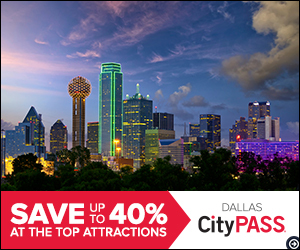 Dallas offers endless events and activities going on throughout the year. Summer is no exception. Despite the heat, you’ll find a great variety of entertainment, cultural events, and outdoor activities. Whether you live in Dallas or are planning a trip there this summer, here are the top 5 things to do in Dallas this July 2017 from Dallas New in Town. Outlaw Music Festival – If you’re going to be in Dallas in early July and want to see several legendary performers, don’t miss the Outlaw Music Festival Tour. This festival, which premiered in 2016, will be appearing all over the nation throughout the summer and kicks off in Dallas on July 2. Some of the headlining acts include Willie Nelson & Family, Sheryl Crow, Margo Price, Lukas Nelson & Promise of the Real, Hayes Carll, and The Avett Brothers. The concert takes place at the Starplex Pavillion Sunday July 2 at 3:00. Red, White & the Blues Festival – If you want to celebrate Independence Day in Dallas, head over to the Dallas Arboretum where there will be music and festivities all weekend. From July 1-4 you’ll get to hear some of the area’s best blues bands, including the Buddy Whittington Band and the Linny Nance Network. There will also be food, crafts, and patriotic celebrations. The Dallas Arboretum and Botanical Gardens is a great place to visit at any time, with 66 acres of gardens, walking paths, a beautiful lake and special events happening all year round. Shakespeare in the Park – Shakespeare Dallas, a tradition since 1971, gives you a chance to see great live theater in an open-air setting. The theater group doesn’t only perform Shakespeare, but a variety of traditional and updated interpretations of classic plays. This July, you can see Quixote, based on the novel by Miguel Cervantes but set in contemporary Texas. Performances in July are held on Saturdays, Sundays, and Tuesdays at Samuell Grand Park. This is a fun and casual way to watch performances. Audience members can bring their own lawn chairs, food, and even beer and wine. There are also concessions nearby where you can buy refreshments. You can purchase tickets at the gate or online. Safari Nights at the Dallas Zoo – The Dallas Zoo is one of the city’s best family destinations and over the summer there are numerous special events. Safari Nights Powered by Breeze Energy provide a comfortable outdoor space where you can enjoy concerts as well as the sounds of nature. Performances are held under a tent and fans keep everyone cool. These events are held on Saturday nights from May 6 to July 15. On July 8 is Escape, featuring the songs of Journey. On July 15 is Prophets and Outlaws, red dirt Texas country jams. Whether you get a chance to attend one of these Safari Nights or not, the Dallas Zoo is always worth a trip while you’re in town. Late Nights at the Dallas Museum of Art – During hot summer days, it’s always nice to plan evening events in Dallas. The Dallas Museum of Art offers some fun and educational events. On Friday July 21, from 6 PM to midnight, you can enjoy an evening of lectures and performances on fashion to accompany the exhibit Iris van Herpen: Transforming Fashion. There’s also a special event, a Lady Gaga costume contest. You can always arrive early and spend some time exploring the museum’s many fascinating exhibits. In addition to a permanent collection of Texas art, there are always special exhibits to see. The Mexico 1900-1950 exhibit runs until 7/16. These are just some of the fun things to do in Dallas in July 2017. There are countless ways to enjoy the city’s many attractions. With an impressive number of museums, historic buildings, restaurants and fascinating neighborhoods such as the Arts District, the Riverfront District, and Baylor District, to name just a few, you’ll never run out of places to explore. If you’re new in Dallas and want to find out about local events and resources to help you feel more at home, contact us.